In the winter of 2015, Evan Kelsick, a young and very able euphonium player, asked me if I’d like to write a piece for him. For a while, I wasn’t sure I’d write the piece until I decided to write a duet for euphonium and piano and hit upon a “spectral” idea for the way the piano would support the ample tone of the euphonium. The euphonium is often confused with other instruments, such as the tenor tuba, baritone horn, tenor bugle, and Wagner tuba—all slightly different instruments that have different bores. 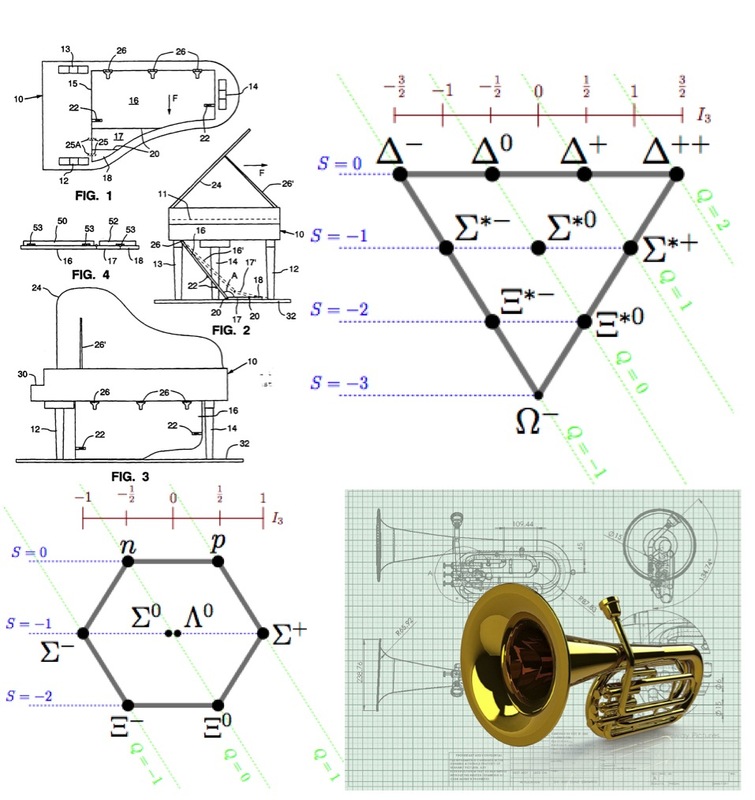 From one of these misnomers, “baritone,” evolved the title of the work, which I first conceived as a small piece for heavy instruments (euphonium and piano) punning on the baryons of subatomic physics. This association proved to have a serious side because the baryons (literally “heavy particles”), classified in 1961 by physicists Murray Gell-Mann and Yuval Ne’eman, according to a mathematical structure borrowed from group theory, which Gell-Mann called “The Eightfold Way” (borrowing that term from Buddhism!). Furthermore, the work became more and more complicated and extensive as I composed it, also using group theory to relate the pitch and temporal materials. In fact, I hadn’t written such a complex piece for some time. Baryons has a sort of refrain that occurs fours times—at the beginning, end, and two internal moments—in which the basic materials of the piece are clearly articulated by long notes in the euphonium whose onsets are articulated by the piano. The rest of the work involves interrelated sections, some of which are combined to form other sections.